Our goal is to have more people connected with the council online so that we can distribute information more efficiently. This is also a great for the new Cub Scout parents that recently joined to get connected with the council for help, information, and answer their questions. 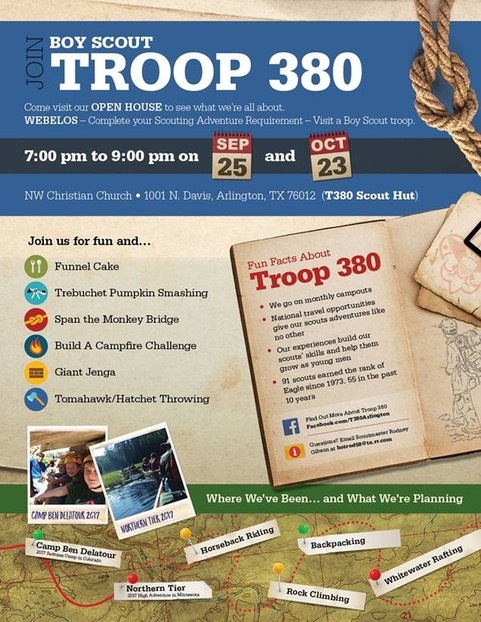 Subject- "Win a $25 Scout Shop gift card from Longhorn Council!" "Longhorn Council has an exciting new contest that you could win a new Scout Shirt with a Longhorn Council patch sewn on OR a $25 Scout Shop gift card! Share this with your unit members to help connect them with the council for information on programs, updates on fundraising, and help for new members' questions. Questions about the contest can be sent to the council's Communication Team at communications@longhorn.org." 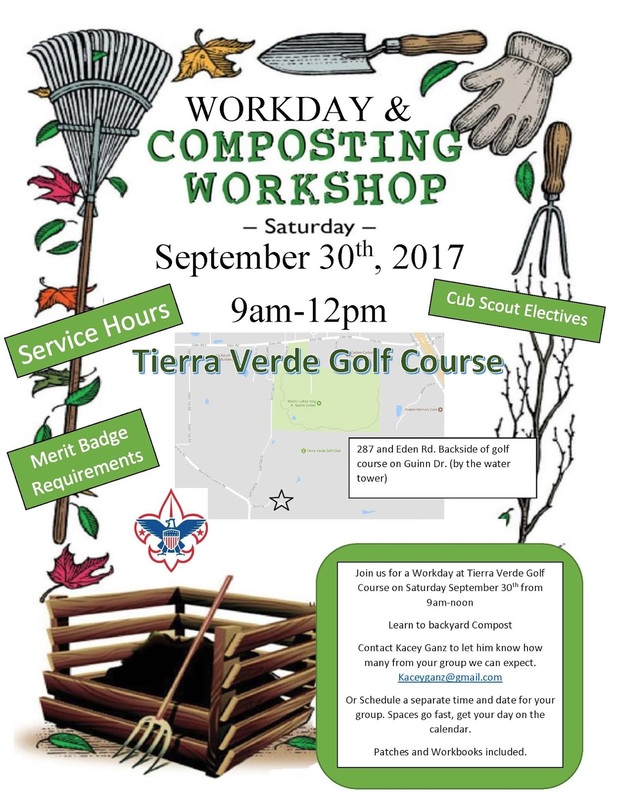 WEBELOS – Complete your Scouting Adventure Requirement – Visit a Boy Scout Troop Monday Sept 25 Please see attached flyer for details. Looking for a great tent but don't want to break the bank.. Here is one to take a look at .. Paria has great quality products with a lifetime warranty.. They have tents with features that some really high end tent have at a lower costs.. 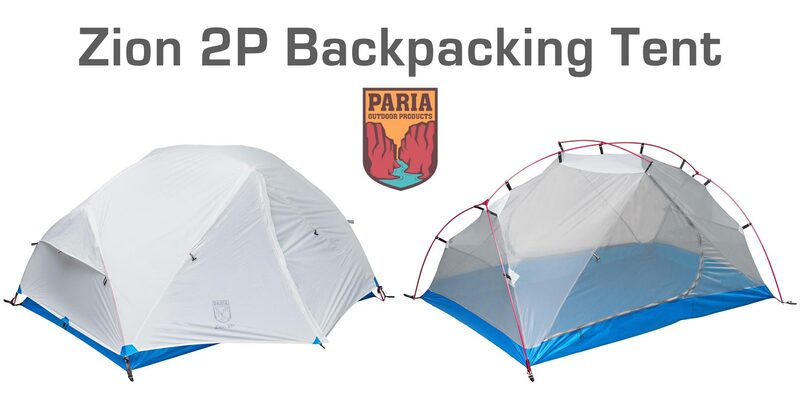 I feel the Paria brand had quality items that have th equality of the MSR and are just a bit more than Kelty.. 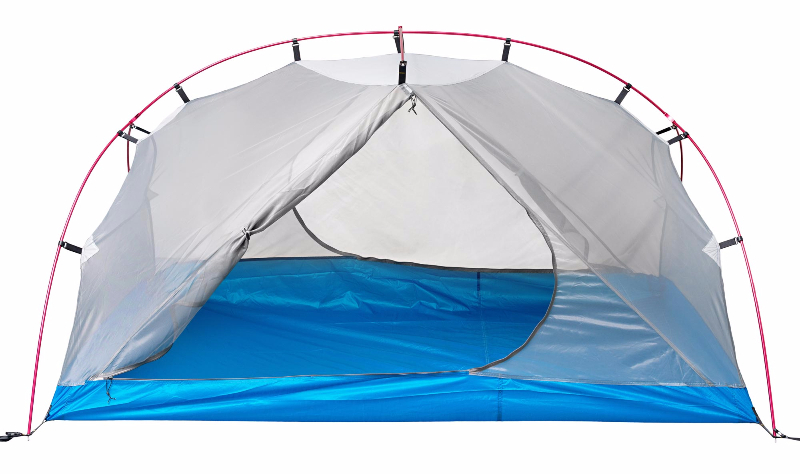 This particular tent catches my attention because the rain fly can be setup without the actual tent enclosure.. so you can use it alone, if that is all you need.. Finally, a true two-person tent designed to actually fit two! Introducing our brand new Zion 2P backpacking tent that provides the room and comfort for you and a tent mate. We designed the Zion 2P with a spacious, rectangular shape that doesn't cheat by tapering on one side. The 53 inch width will fit two 25 inch sleeping pads with inches to spare. The two roomy vestibules are the perfect place for your pack and boots. Finally, the two-door design means you can enter and exit with ease. All this room doesn't mean you need to compromise on weight. The Zion 2P comes in at a trail weight of only 3 pounds 15 ounces. If you split the load over two people, you'll each be carrying only 2 pounds! As with our popular Bryce 2P, we did not skimp on quality. 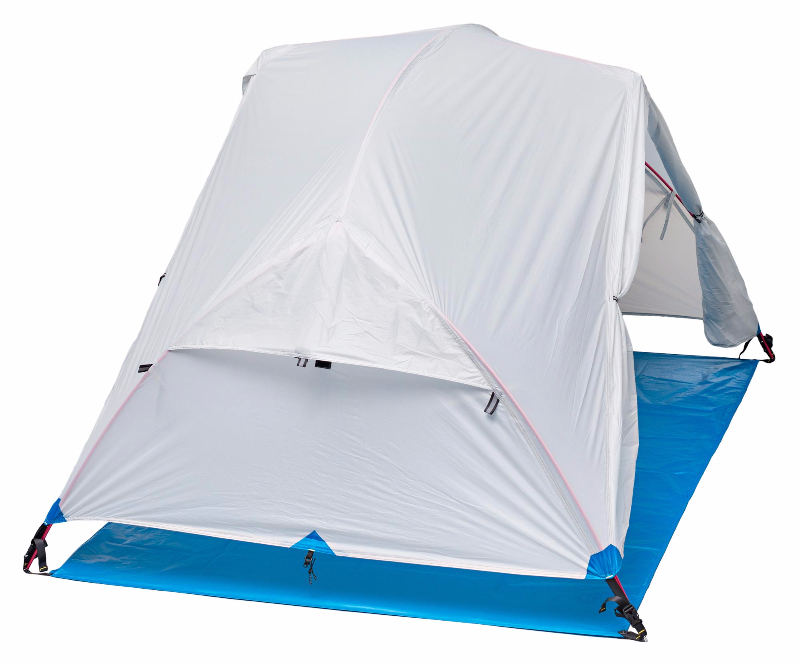 Each tent uses high end rip-stop silnylon fabrics, Dyneema lines, and alloy stakes. We included dual vents with kickstands to limit condensation. Finally, the interior features four large mesh pockets and a spacious gear loft. The Zion 2P also allows a variety of pitching options. Pitch the mesh only on warm, dry nights for ultimate stargazing. When weather approaches, slip on the rainfly to stay dry. If bugs aren't a problem, pitch only the footprint and rainfly for a quick and light shelter. As with all our products, the Zion 2P comes with our dedicated customer support, a lifetime warranty, and ships for free! You can find our new Zion 2P tent in our online store or on Amazon.com. The Plano Conservancy for Historic Preservation, Inc. invites Boy Scouts to explore the world of railroading and discover the wonders of electricity. 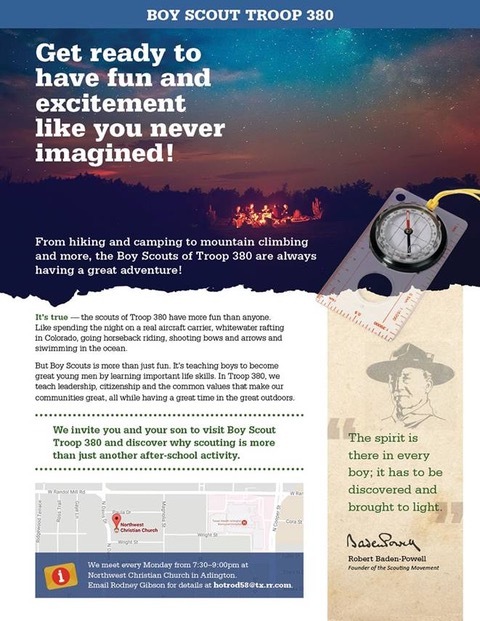 Boy Scouts can earn their Electricity Merit Badge and/or Railroad Merit Badge at the historic Interurban Railroad Museum, 901 E. 15th Street, Plano, TX 75074. Thursday, November 9, 7:00 p.m. to 9:30 p.m.
• Provides CORs with the basic info they need to build successful Units for the Charter organization. Provides Leaders with the basic info they need to conduct successful meetings.